October 15, 2015 March 31, 2019 - The 'Noms. This is one of our favorite fall cocktails on the site. 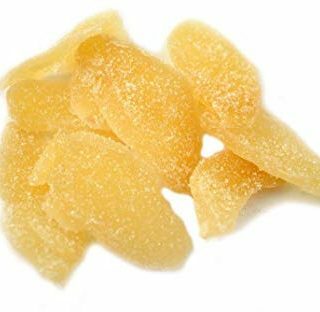 Warm caramel flavors blend so nicely with the ginger beer, and apple cider. 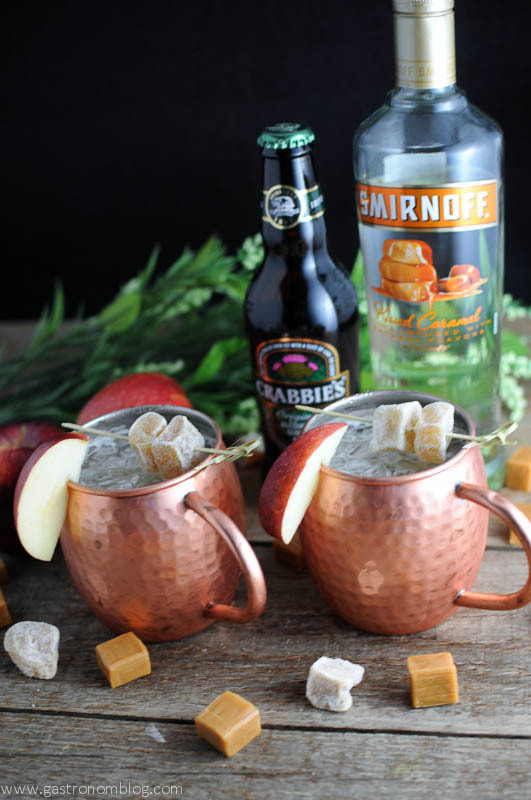 Try his Caramel Apple Moscow Mule! Cheers! With fall comes apples and our annual trip to the apple orchards in Nebraska City with the grandparents. 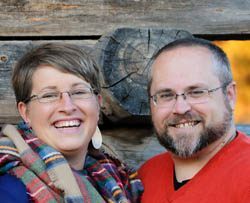 Nebraska City is home to Arbor Day Farms (founding group of Arbor Day) and home to a group of long time orchards that grow some fantastic apples. Of course we spend the day there, taking the kids apple picking, watching the kids sneak bite of apples fresh off the tree, and enjoying a nice fall day. Also, anytime we are down at the orchards, we have to grab some of the fresh pressed apple cider, which always means it is officially fall at our house! 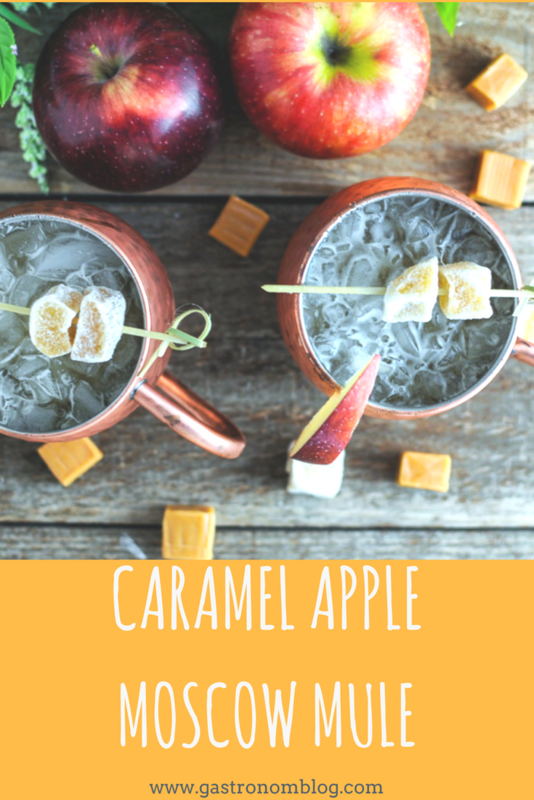 What Ingredients are Needed in the Caramel Apple Mule? One treat that our kids (technically even some of the grown kids!) always love to get when we visit the orchards is the fresh caramel apples that many offer in their snack shops. The fresh homemade caramel and tree fresh apples is an amazing combination. Of course we have been getting fresh orchard caramel apples since our kids were tiny, walking around with a caramel apple has become a tradition for our family in the fall. Since we like making lots of seasonal cocktails to share with our readers, having a cocktail that is so fall related was a no brainer! 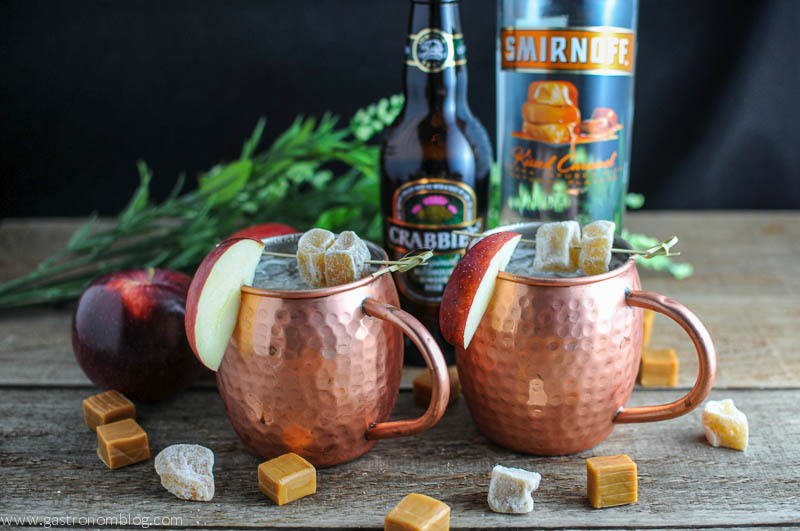 So, we came up with this Caramel Apple Moscow Mule! For this drink we combine caramel infused vodka and the apple cider. This gives a fresh caramel apple flavor to the classic Moscow Mule cocktail. This might sound really sweet, but balancing out a bit of the sweetness with fresh lime juice also helps keep this version of a Moscow mule nice and in balance and keeping this cocktail from getting overly sweet. 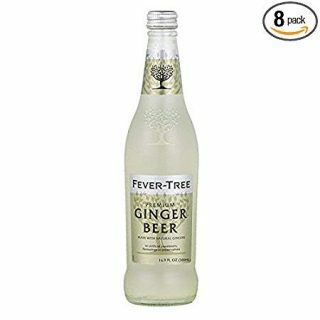 The ginger beer works really well with the apple cider, giving just a hint of a spicy ginger hit to the sweet apple and caramel. Perfect for sipping around a fire-pit or enjoying with a warm bowl of apple crisp! If you are interested in a really easy way to make this cocktail, you can just buy a caramel flavored vodka off the shelf. However, if you really want to take this cocktail to the next level, you can make your own caramel infused vodka. Making your own lets you get the caramel flavor just how you like it. Also, if you add a little bit of sea salt to make it a salted caramel infused vodka! 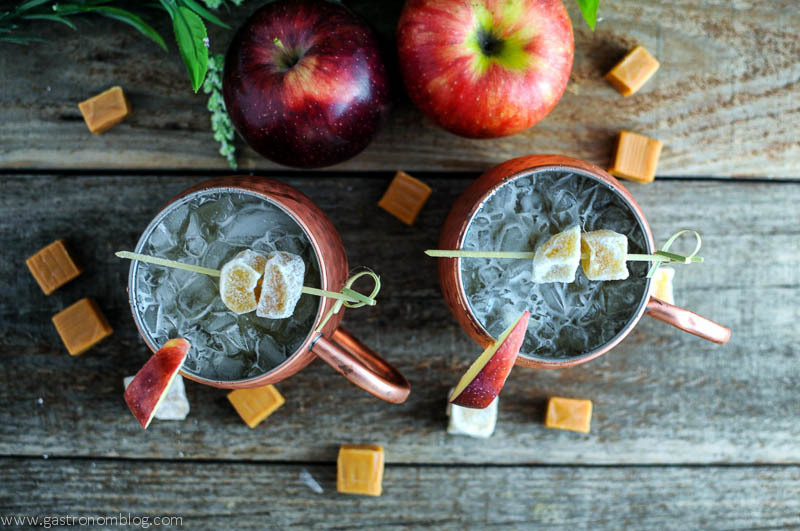 Recipe below for this Caramel Apple Moscow Mule! 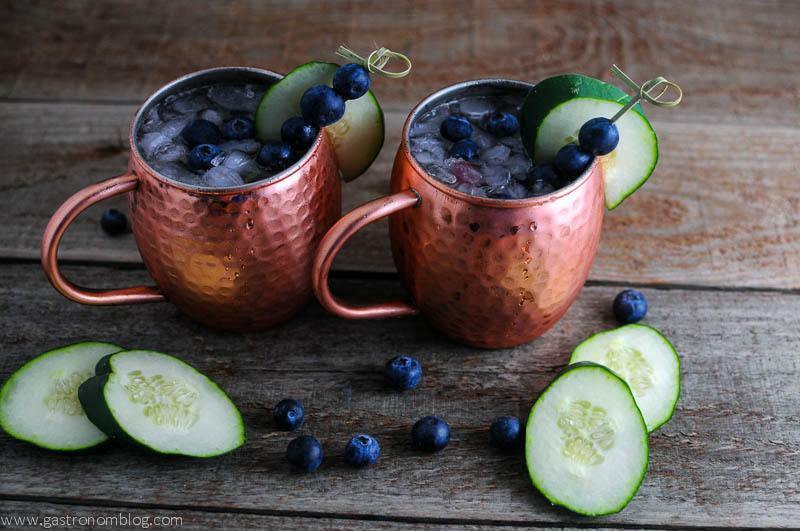 Here are some other flavored Moscow Mules for you to try out! 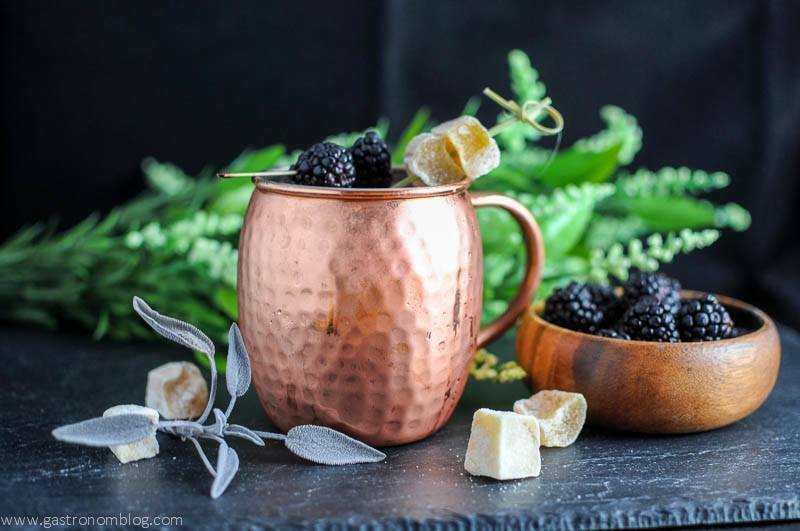 A fall version of the classic Moscow Mule cocktail. 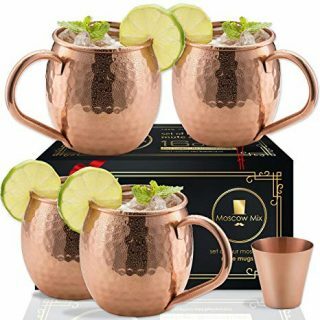 Combine all ingredients in a copper mug with ice. Garnish with apple slice. Either combine caramels and vodka in a large enough container, or 2 to hold the caramels and vodka. Or, you can pour out an ounce or 2 of the vodka and put the caramels into the bottle itself. 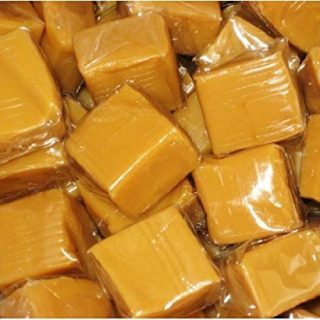 You may have to cut the caramels to get them to fit. Shake the bottles or containers, and do so a few times a day for 3-4 days. When it's ready to go, strain through a coffee filter or cheesecloth to remove sediment. Add in pinch of salt. Put back in bottle. 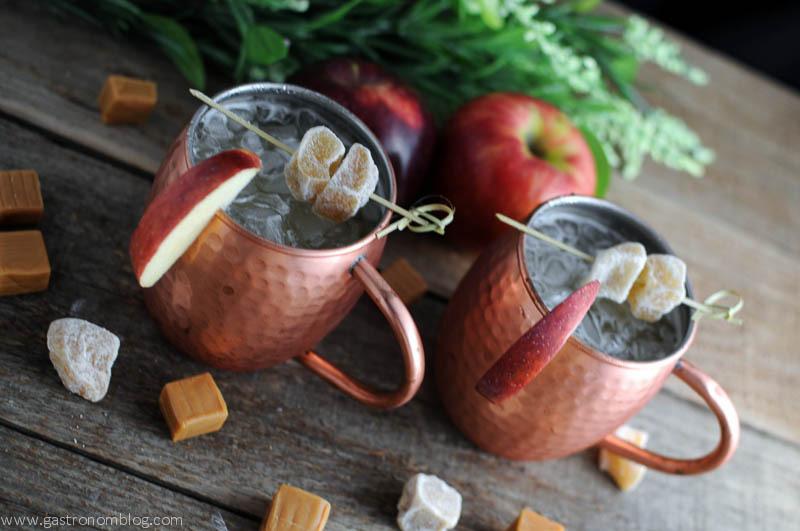 PIN THIS CARAMEL APPLE MULE RECIPE FOR LATER! Sounds a bit too good if I’m honest! Haha! Better to have a drink that is too good, than that is bad! 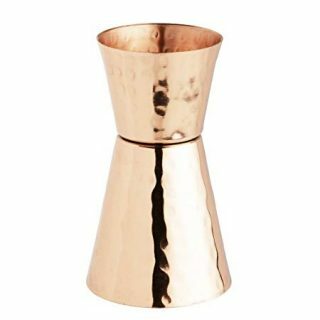 I love Moscow Mules so I definitely need to try out the more fall version of this ASAP. Thanks, we LOVE them, too! ooo yes! My father in law loves Moscow Mules! I like the sound of this version! Yum! That sounds fantastic. I love the idea of caramel infused Vodka. Those mugs are awesome too! This is the BEST idea! What a tasty, sweet fall cocktail. Can’t wait to try it. Thank you! 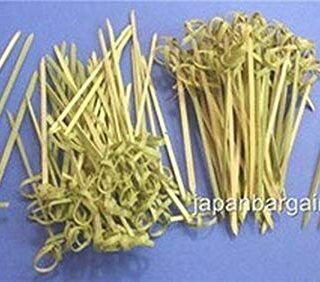 We highly recommend these! This looks so yummy! And I love those mugs too! I’ll have to try this. Thanks so much! It’s really good! 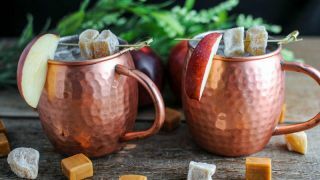 My two favorite things – caramel apples and moscow mules! I will definitely give these a try. Thanks for sharing! It’s a great combo! Cheers! I’ve never had a Moscow mule before but this sounds amazing! They are soooo good! This would be a good intro to them! This sounds so good! I’m now so intrigued with making my own caramel vodka – can’t wait to give your recipe a try! Thanks! It’s pretty tasty! Enjoy! I found my Christmas Cocktail!! Wow! I’ve never head a Mule like this! Amazing modification! Pingback: Pomegranate Rosemary Mimosa - A Refreshing Mimosa Recipe!